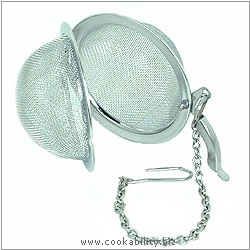 This hard to find mesh infuser is made from 18/10 stainless steel. Not only for tea, can be used for spices too. This infuser is made from fine mesh.